You can go to inspections and choose the inspection you would like to open. On the right-hand side, you will see escalate to a case file. 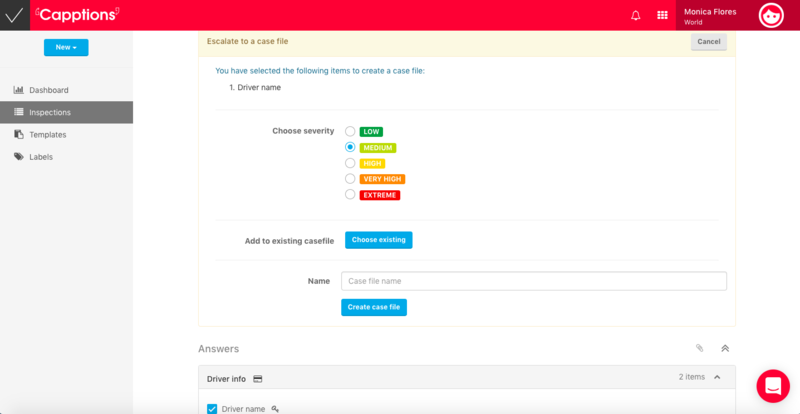 Once you click on it, you can choose which section from the inspection you would like to add to a case file or create a new case file with the existing deviation in the inspection. You can choose the severity of the case so later you can easily filter which ones are the most severe. After you choose which case file would be added, it will show that a case file was created out of this inspection and an observation was also created with the severity that you chose.